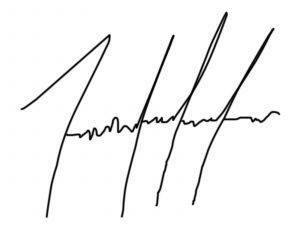 You're here » Home » Marketing Strategy » “Signature” Signature? Your email signature is soooo boring. Yes, we said it. Still toting your default name, address, job title, phone number in your automatic signature? You can do better. Show some personality or give your contacts a little something to remember you by. Mashable this week has highlighted five ways to spice up that bland signature. And no, changing it to say “Brad Pitt” isn’t one of them (though it would certainly be effective). Frequent contacts won’t get bored when you enable a random signature, courtesy of Gmail Labs – that rotates random quotes among your outgoing messages. You could also try out Wisestamp, a simple add-on that allows you to change fonts and colors and images. And if you’re a fan of the new Facebook location finder – try it with your email. Gmail labs can also tailor each outgoing message to reflect your current location; not particularly genius if you’re accustomed to playing hooky. See more ways to share (or make up some) personality by clicking here. « Ready, Aim – Ban!